I am an addicted- to creating ! I feel I have something I shall call “CHD “. This , I realise, has been the case always , always, ALWAYS for me …Since I could get my hands on anything that could possibly be turned into something else , I’ve been making stuff. Years later , a plumber apparently found paint brushes that I’d stuffed down the laundry sink in a paint brush cleaning epic fail of mine . You can join the dots there . Between the ages 9-11 , I was seriously addicted to papier-mâché . My poor mother patiently brewed litres and litres of home made glue on the kitchen stove top, out of flour and water lovingly for me ,so I could paste thousands of tiny pieces of shredded newspaper to balloons ( to make heads OF COURSE). I made a pretty fabulous “Captain Spork” head from the Muppet show . Pure genius . In my teens I painted , drew cartoons and created and choreographed incredibley fascinating dances to my favourite pop songs that I had recorded from the “Top 40 Australia “ on my uber high tech double cassette tape player /radio and consequently performed to an audience of ..no one ( thankfully ) in my bedroom . Late teens , I was creating my own clothes on my mother’s old Singer sewing machine ( I was too impatient though to get the clothes finished and many of theses clothes fell to pieces very quickly ) . Again, my long suffering mother had to help me resurrect inummerable sewing disasters AND comfort a cranky despairing budding seamstress who would be sobbing in a mess over the sewing machine . In my 20’s, the drawing and painting was pushed aside as I became heavily into song writing . I even recorded a CD . A few loyal friends and family supported me and bought a few , which I believe now make brilliant drink coasters . My 30s – well they don’t count as I was up to my neck in nappies , bottles , working part time . Just to find a moment to create a space for myself to slap on some makeup to cover up the sleep deprivation induced bags under my eyes was about all the creating I could manage . But NOW , now , I’m in my 40s .And loving it ! My CHD has become wonderfully full blown. It’s now my beautiful husband instead of my parents who is suffering patiently through my creative messes. BUT , the fulfilment , happiness and basic pure joy I get from making stuff is just , well , something I’m so thankful for ! 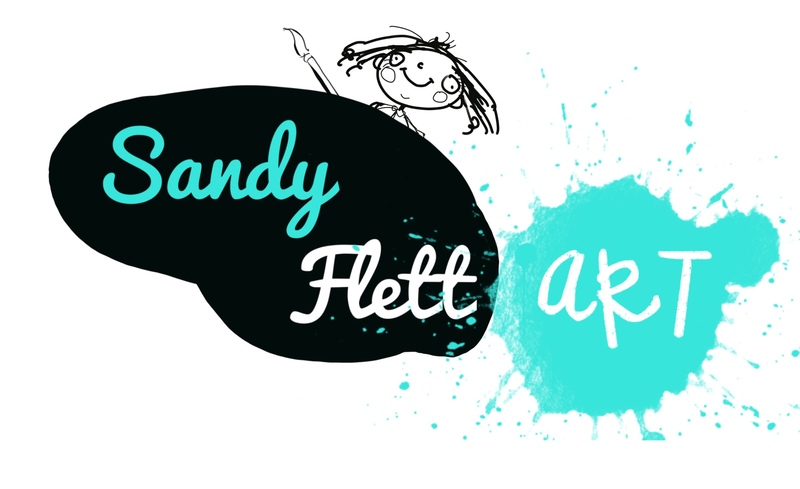 And I’m so excited that my Kids Art School Youtube Channel has already reached across the globe as I would love other kids to draw painting and just make huge creative messes , just like me ! So welcome creative kids from…. …my home country , Australia , as well Zimbabwe , and Poland , and Romania and Canada and New Zealand and Turkey and who know where else ?? I’d love it to reach the UK , and Singapore and South Africa and all across the world . Having CHD is AWESOME !! I hope you catch it too ! And here is another art tip for people interested in trying digital art. The educational video is fairly self explanatory . Cupcakes true identity has been revealed . To find out go to CARTOONS /SQUIRTS …..
Cupcake Marshmallow Sunshine is now quoting Mother Theresa . Methinks he might need some therapy . Check out Squirts in the cartoons section. Today , sadly , my poor little brain is very very sore after all my work launching this website yesterday . At least I know I do have a working brain . I’m giving it a bit of a day off today so it can kick back and chillax a little . But, as my brain chillaxes , I want to give a huge fabulous ginormous thank you to all of you 360 people who visited my site in the last 24 hours !Woooohhhh ! Amaaaazing stats ! Anyway , I’m going to introduce to you all my little friend Felicity Fluorogarde , aged 3 1/2 . Felicity is one of my stars of “Squirts ” . Felicity talks ALOT ,driving those around her more than a little crazy – even though she is kind of cute .She always always always wears a pink tutu with purple gumboots . It’s her signature look . One day , you will meet big brother, Hudson Fluorgarde . Hudson is 8, and has his own special quirks – but more about him another day . Let’s just say , Felicity makes his life interesting …. See ya later . My brain needs a little snooze …. I have discovered that I like drawing kangaroos who are on holidays. It may have something to do with my penchant for drawing silly things, but also due to the many amusements I have had the pleasure to indulged in, whilst being an Aussie overseas. I LOVE New Zealand and its people. In fact , I do feel I could belong to the New Zealand Tourist Board, such is my love of the land. And so (as my beloved and I had done on several previous trips ) we ate of the delights of fresh Kiwi produce, imbibed in the world renowned New Zealand Pinot Noir , traipsed and sailed around the gorgeous Lake Wakatipu, climb the remarkable Remarkables (mountains) and just inhaled the fresh New Zealand air. “The Luge” is a highlight of New Zealand attractions for my beloved and I. And so, as Australians, or Kangaroos in Queenstown, I had to capture the moment in art..
PS – I have recently learnt that kangaroos can kill a dog.